where life in the universe began. represents the color of death. 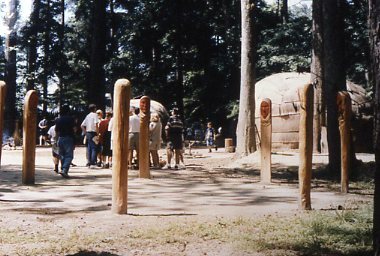 Powhatan Village at the Jamestown Settlement Park, Jamestown, VA.
John White paintings are in the British Library, London, England. White, artist and later, governor of the lost colony of Roanoke, Virginia. festival (See Powhatan Words below). 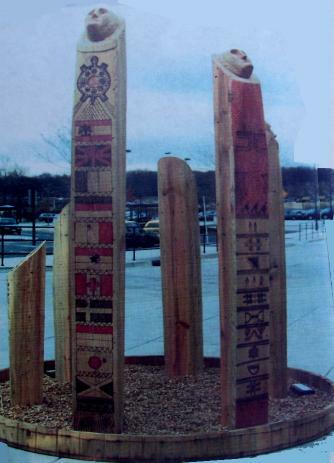 Story" totem, which commemorates the Treaty of 1677. 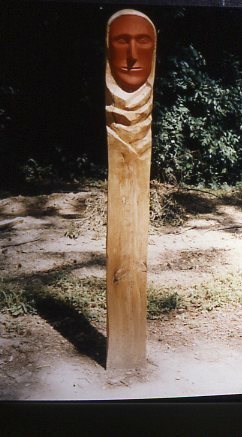 (2)The "Attan Akamik" totem has an Algonquian name. that help us to survive in harmony with each other. 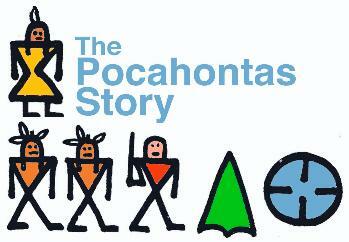 Pictographs depict good weather, animals and plants. adventure book" narrative. Pocahontas is featured. indigenous Americans to encounter Christopher Columbus and his Spanish sailors in 1492. 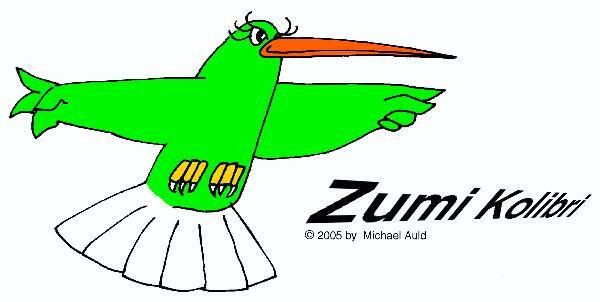 Kolibri: Another Taíno word for hummingbird. 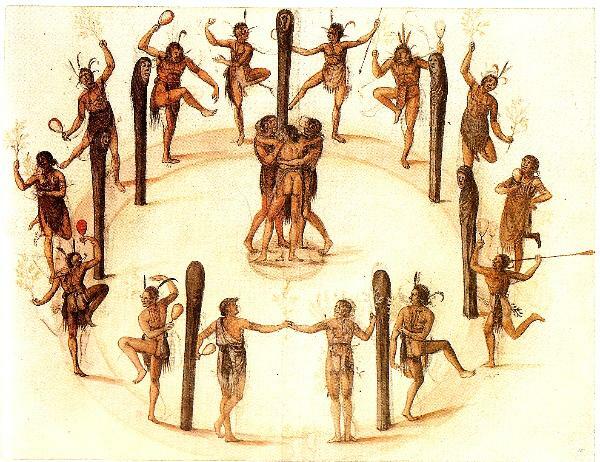 1493, some captives taken from Boriken (Puerto Rico) by Caribs, told Columbus' men that they were "Taíno". the Lesser Antilles. They also had trading outposts in Central America and Florida. (nee-ta-ee-no), the "upper class" of the Taíno society. It means the "nobles". This was the class of the sub-chiefs. chiefs under his or her rule. with letters of an alphabet. capture, when he claims she saved his life. "Write" a pictograph story about yourself! associated with winter or a year. The Powhatans called the "Potomac" River "the River of the Cohonks"
Maypop: From mahcawq, a vine with purple and white flowers that has an edible yellow fruit. ...So, what should I call them? needs of children of all ages. Feel free to modify the questions to fit your target audience. Answer the questions. Draw picture symbols to represent the written answers. Color and finish. 1. Are you a boy or girl? or Are you a male or female? 2. What month of the year were you born in? or What is your special personal symbol? 3. Where is your "special place? or If you could travel to a special place, where would it be? 4. What are four of your favorite colors? or Which four colors are you most attracted to? 5. What do you want to be when you grow up? or What future career do you plan to pursue? 6. What are five things you like to do? or What are five of your most interesting activities? 7. Do you smile a lot, act serious, or frown a lot? or What type of mood are you usually in? 8. What season of the year do you like best? or Which of the four seasons do you prefer? 9. Are you an "early bird" or an "evening owl"? or Do you prefer morning or evening hours? 10. What is your favorite holiday? or What is your most memorable day of the year? at the time of Historic Jamestowne's founding by the English.